I finally got a chance to iron some fusible appliques down. 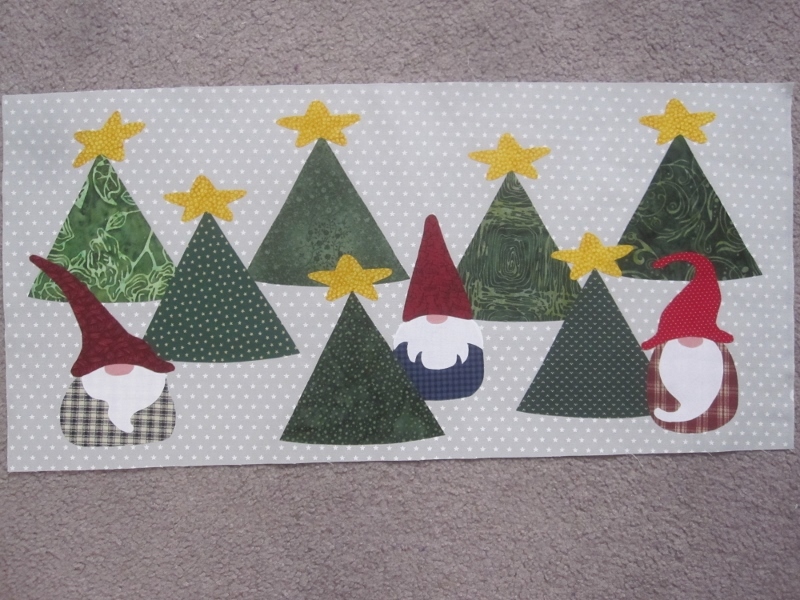 The latest BOM from Fat Cat Patterns is called Gnome for the Holidays. This is the first installment. It's ironed down but not yet sewn. I'll get to it. All my gnome bodies are made from various checks and plaids that I have. This is what I'll be working on at Marg's tonight. 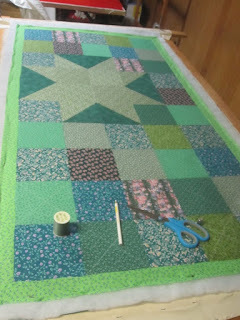 This is the one that Marg is quilting. Funny little gnomes! 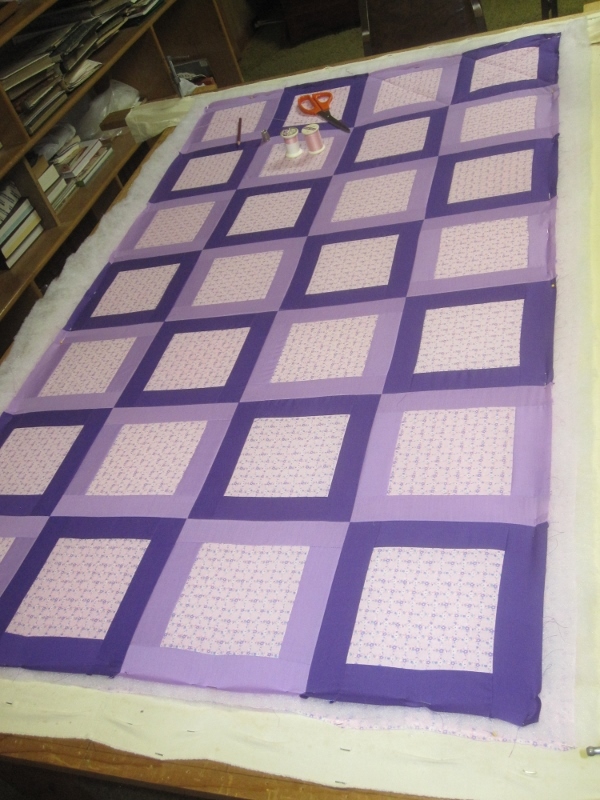 The quilts you are working on are both very pretty. Lovely little gnomes, they will have the other blocks to join them, and make a "gathering" is that the term for their get-together?. Cute gnomes!! And really pretty quilts - lucky you to have a friend to stitch with! Adorable little gnomes. 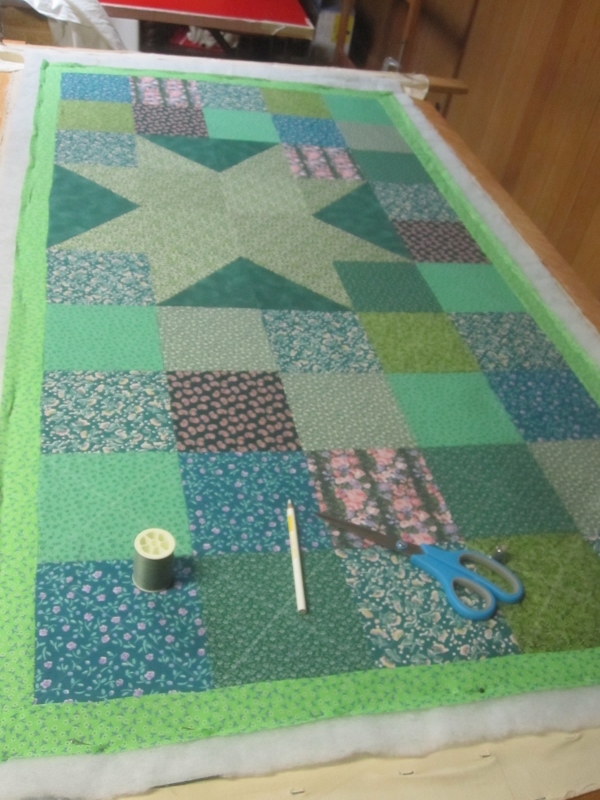 The greens are so soothing and spring-like. I wish I was Canadian. I am in love with Justin Trudeau. Isn't everyone?